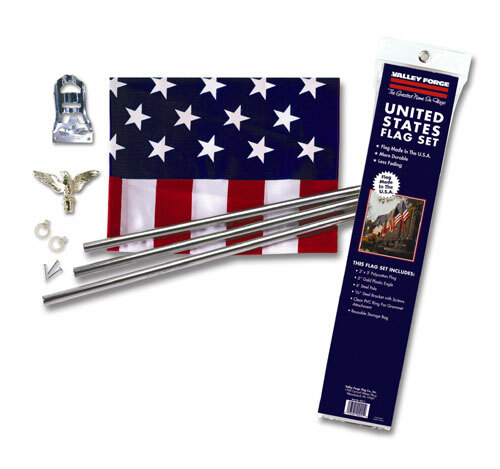 This all-inclusive kit comes with everything you need to deck out your home or frontage. A 3' X 5' Poly/Cotton Flag, a 6' 3-piece steel mast, a gold colored eagle, and a 3/4" mounting bracket. The flag is finished off with durable brass grommets. As always, the flag is 100% American-made. This kit comes in a heavy plastic storage bag and includes a flag etiquette notecard.